I made this because I was inspired by the GoS theme, so I put it on GoS. I was on MTS, looking for a download that I had years ago and found a really cool thing from 2007. 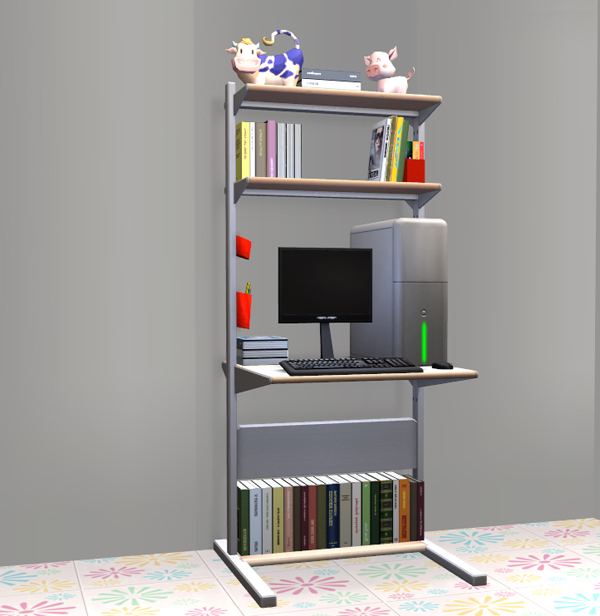 The aesthetic was maybe a bit too old school, but then I remembered the Fredrik desk that was in the IKEA pack, the one with the books on shelves that didnt have any bookcase functionality (and was as big as a small house). That was my Eureka moment. Excellent functionality from 2007 + Mesh from EA that needed that functionality = The Fred and Natalya Secretaire. 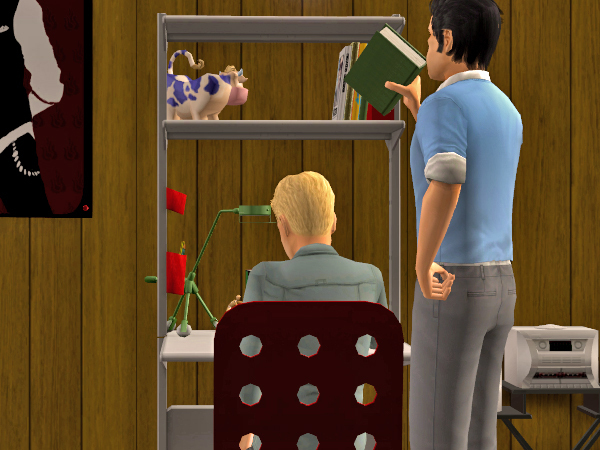 Your sim can use the desk and another sim can get books from the shelves on the desk. Cool, no? Marvellous solution for cramped quarters: a single-tile bookcase with built-in room for a computer and up to NINE other goodies. Nine spaces to put stuff like a SimBlender, an ACR-adjuster, and other small (cheat-)objects. 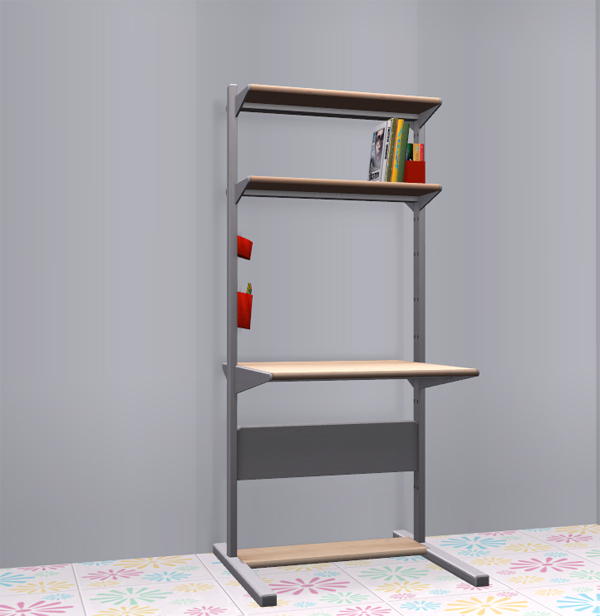 This is going to be my go-to desk/bookcase solution for sure!